Bite Size Vegan is an ever-expanding video-based free educational resource for information on all aspects of veganism consisting of a youtube channel and accompanying website. There is a lot of information and misinformation on veganism out there! Bite Size Vegan makes it simple, fun and approachable, with info-packed “vegan nugget” videos—backed by rigorous research, yet awkwardly entertaining. With our hectic schedules and modern attention spans, most of us don’t have the time or energy to research important issues. But who doesn’t have time for an entertaining video that does the thinking for you? From thoroughly researched academic reports, to engaging videos for kids, to moving mini-documentary style videos, Bite Size Vegan provides a wide range of educational approaches for various learning styles, and emphasizes the diversity of veganism—because it’s not about changing who you are, just what you do in relation to non-human animals. Bite Size Vegan simplifies complex vegan issues in an enthralling, approachable way that appeals to vegans and non-vegans alike—creating new vegans and arming existing vegans with the tools they need to get active! And who says education can’t be entertaining? The vegan nuggets are often just as full of sarcastic wit as they are well-researched facts. In fact, you’ll have so much fun you won’t even know you’re learning! 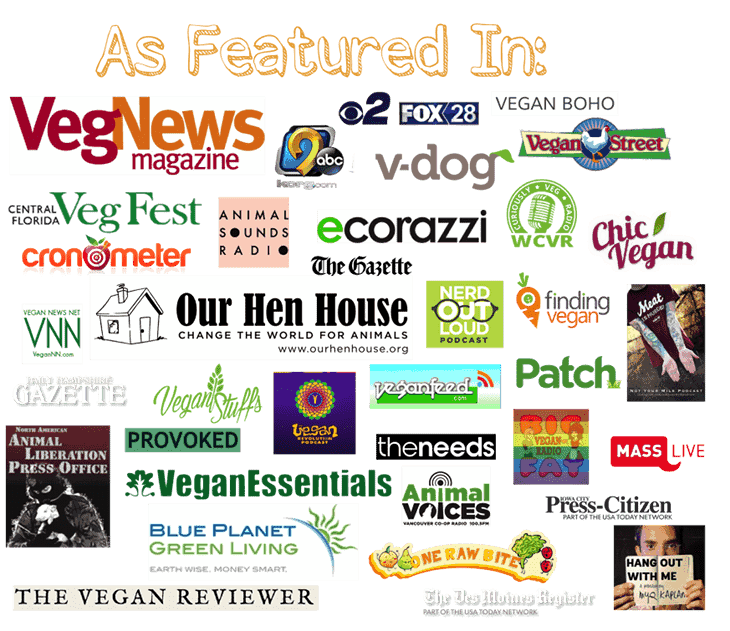 To find out what people are saying about bite size vegan, check out the bite size testimonials! Hi, I’m Emily, an animal-liberation activist, international speaker, artist, writer, educator, and the creator of Bite Size Vegan. My mission is to simplify veganism by educating approachably—but I don't pull my punches! I created Bite Size Vegan with the desire to make a difference for the animals. I want to help people understand veganism- that it’s not an exclusive club, fad diet, or elitist social movement, but rather a logical, compassionate, rational approach to life- especially in regards to the lives of others. I believe that education is where the vegan movement will gain the most ground and I plan to be on the front line! Won’t you join me? I'm so glad you've found your way to my site. Please hang around and watch some videos! If you want to get to know me more, here are some posts for that! Be sure to subscribe to the channel, the rss feed, and sign up for the newsletter for a free ebook and more exclusives & updates! Animal Rights Conference — Washington, D.C. There are so many ways to get involved with bite size vegan. You can check out the support page for ways to help spread the vegan message and continue the fight for the animals through vegan education. Sending any of the videos to news outlets, vegan websites/podcasts/news organizations/celebrities/organizations is of great help. I'm currently working on the infrastructure for volunteer opportunities. If you want to stay informed about new developments with Bite Size Vegan, be sure to sign up for the newsletter at the top of this page!